Ask the Fire HD 10 to dim the lights while you're across the room. To date, Amazon's devices with hands-free voice control have been decidedly static. At last, though, they can go where you do. 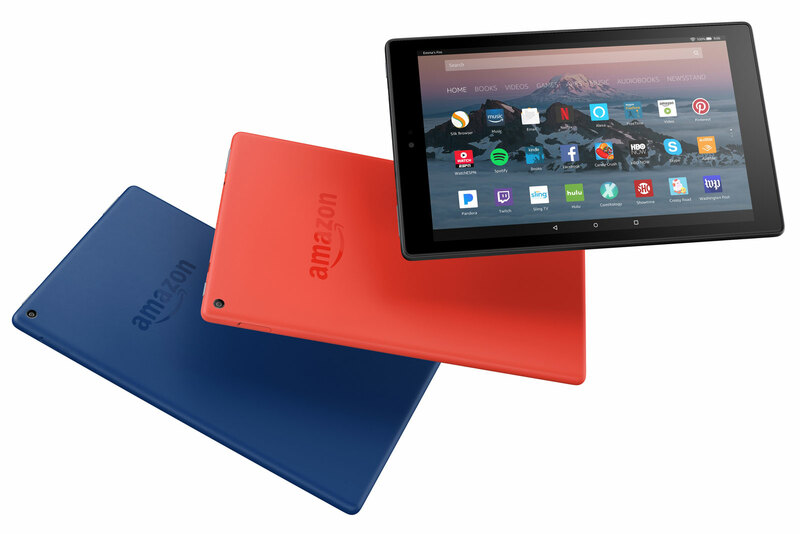 The internet shopping giant is launching an updated Fire HD 10, and it's the company's first tablet with hands-free Alexa built-in. If you want to turn down the lights or check the weather, you don't have to tap the screen or wander within earshot of an Echo. This is far from new in the mobile world (just ask anyone familiar with "hey Siri" or "OK Google"), but it's definitely helpful if you want access to Alexa's skills when your tablet is across the room. There's only one microphone versus the array you find on an Echo, but Amazon tells us the chipset helps the Fire HD 10 efficiently listen for your commands. This isn't the new tablet's only upgrade. It finally has a 1080p display, and it packs both a speedier 1.8GHz quad-core processor (Amazon isn't mentioning the chip by name) as well as a healthier 2GB of RAM. The expandable storage now starts with 32GB built-in, too, and the 64GB option is still around if you need more built-in space. You can also expect Dolby Atmos audio support for more immersive movie watching. The biggest upgrade might be the price, though. Amazon is taking pre-orders for the updated Fire HD 10 today ahead of its October 11th launch starting at a modest $150 (£150). That's considerably lower than the $230 for last year's 16GB tablet, and it's close enough to the price of a standard Echo that you might prefer to buy this if you're more interested in a general-purpose device than music quality. Just be sure to check for a software update if you buy one: Amazon says hands-free Alexa support will require a patch that arrives in sync with the tablet itself.